After releasing three EPs in the past couple of years, they are now presenting their first album, Tons Of Friends, out since March 8. The record features Soulwax, Yelle, Miike Snow, Róisín Murphy and then some. 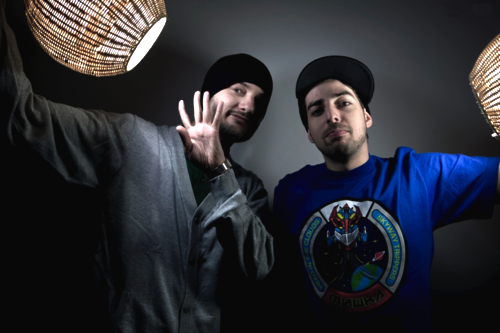 Drawing from influences of house, hip hop and beyond, Crookers blend their beats with the kind of fidget house finesse that gives birth to tracks that twist, startle and surprise with synthetic pop. The boys are also known for their remixes of artists such as Basement Jaxx, Fever Ray or Lady Gaga. For the record, their remix of Kid Cudi’s “Day’N’Nite” entered the UK singles chart straight at number 2!